The iPhone 8 rumors are picking up momentum ahead of an expected September reveal, and the latest clues for iPhone 8 detectives to pore over are a couple of leaked photos showing the front and the back of Apple’s upcoming handset. Courtesy of the reasonably reputable @OnLeaks on Twitter, the snaps reveal a display that dominates the front of the phone and swallows up the Home button, and a dual-lens, vertically aligned rear camera, which all matches up with previous rumours. 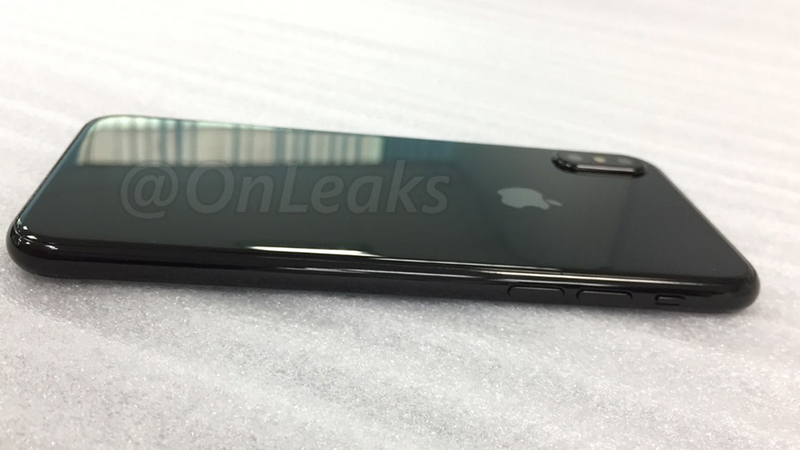 There are no regulatory markings on the phone, and it isn’t powered on, which points to this being a dummy unit based on the iPhone 8 design specifications rather than an actual iPhone 8 – something that another Apple leaker, Benjamin Geskin, suggests on Twitter. Even if this isn’t actually a real iPhone 8 though, it still gives us a very good idea of what the phone is going to look like, so you can weigh up whether it’s going to be worth the wait. Apple is also expected to launch an iPhone 7S and iPhone 7S Plus in September, minor upgrades on the 2016 models. These pictures don’t really solve the ongoing mystery of the Touch ID fingerprint scanner, which is apparently causing Apple engineers some headaches as they try and get it fitted under the display of the iPhone 8. If that doesn’t work out, it may have to go around the back, as on the Samsung Galaxy S8 and Galaxy S8 Plus. Time will tell. The tenth anniversary iPhone 8 is also rumored to include wireless charging and some augmented reality extras courtesy of that dual-lens camera on the back. As always, we’ll bring you all the news once Apple’s ready to share the 2017 iPhone line-up with the rest of the world.